What if born-and-bred-in Hong Kong law firms could list on the Hong Kong Stock Exchange? 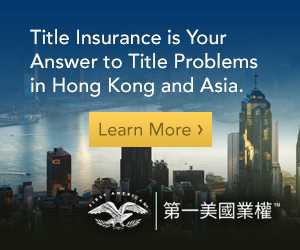 Would a listing help smaller top-tier law firms compete against the international giants listed on Hong Kong Business’s Top 25 Law Firm Rankings (see Hong Kong’s 25 Largest Law Firms 2013, Hong Kong Business, 4 Mar 2014)? In May 2007, Slater and Gordon Ltd, an Australian law firm, became the first firm to list on the Australian Stock Exchange. Integrated Legal Holdings Ltd, an Australian company that operates as an umbrella company for law firms, followed shortly thereafter. However, most jurisdictions forbid lawyers from listing their firms on stock exchanges. While other professions (like accountants and doctors) allow their members to list their practices, it seems logical to ask why there is so much resistance against allowing members within the legal profession to list their firms. Many chinks have already been exposed in the armour protecting the legal profession. In 2011, the American Bar Association’s (“ABA“) Ethics Commission had to decide if non-lawyers could own law firms (see Selling Pieces of Law Firms to Investors, The New York Times, 28 Oct 2011). Such sharing arrangements would let qualified legal practitioners work with accountants and even super-store operators so they could deliver services in ways that clients need them. The US has also seen the emergence of “legal advisory outsourcers” to try to circumvent the ABA’s rules (see Will Continuing to Ban Non-Lawyer Ownership Make US Firms and Clients Less Competitive?, Legal Rebels, ABA, 1 Nov 2013). Similarly, many predicted (and hoped) that changes in the UK’s Legal Services Act would bring a wave of law firm initial public offerings (see UK Law Firms Soon Able to Float, IR Magazine, 16 Sep 2011). The Canadian Bar Association has also struggled with the issue of allowing non-lawyers to own law firms (see Let Non-Lawyers Own Law Firms: Canadian Bar Association, The Globe and Mail, 14 Aug 2014). So it seems that common law jurisdictions are, at the very least, considering the possibility of allowing law firms to list. On their face, law firms already look and act like corporations – albeit closed corporations. For instance, they engage in mergers and acquisitions – like the 2004 merger that created Wilmer Cutler Pickering Hale and Dorr LLP (A Tough Case for Law Firm Mergers: Last Year Had a Bumper Crop of Combinations, but History Hasn’t Been Kind to All, The Wall Street Journal, 13 Apr 2014). They also operate as centralised cross-border structures, known as vereins (Are Verein-Style Law Firms Ignoring Fee-Splitting Ethics Rules?, Legal Rebels, ABA, 1 Oct 2013). They pay out shares of their profits to equity partners and involve owners or partners in key company decisions (see Partner Pay – How Do You Like Your Stake?, The Lawyer, 14 Nov 2011). Owners also receive dividends in the form of partnership bonuses and other profit-sharing. A wide range of stakeholders have strong financial interests in Hong Kong’s law firms – from the office rental companies to the office supply stores. Yet, their interests come from investments in the inputs law firms use rather than cash. For example, when a building owner rents office space to a law firm, it takes a stake in the law firm’s future. The owner does not hold shares in the law firm, but it receives regular cash flow from the law firm’s operations – and a “residual” stake in its success (through future rent hikes, offering more office space, and so forth). How much money could Hong Kong’s law firms attract through public offerings? The market capitalisation of Hong Kong’s top 25 firms would – if listed as entities separate from their international parents – have a market capitalisation of easily over US$8 billion.1 Profits alone likely come to US$3–4 billion (see How Firm Types Compare, The American Lawyer, 28 Apr 2014; The 2012 Global 100: Profits Per Partner, The American Lawyer 28 Sep 2012). Figure 1 shows the estimated revenue of the top 10 global firms – using the 2013 number of attorneys working in these firms and average revenue per lawyer from US data. Given higher Hong Kong salaries (and fees), the US data almost certainly under-estimate the value of the Hong Kong legal market. Hong Kong Business magazine classifies only 7 out of the top 25 firms as “local” (see Hong Kong’s 25 Largest Law Firms 2013, Hong Kong Business, 4 Mar 2014). With employment amongst the 25 largest law firms in Hong Kong rising by 8 percent since 2012 – Hong Kong law firms’ prospects have never looked better (see id.). Legal services opportunities in the Mainland mean the need for lawyers (and capital to pay, equip and house them in modern offices) could be orders of magnitude higher. Just how many more lawyers – and thus how much more revenue – could Hong Kong’s law firms produce? We know that the Mainland suffers from a dearth of lawyers – both compared to its gross domestic product and its population. A Legal Week survey of international law firms operating in Hong Kong found that most firms that responded had increased the number of Mandarin-speaking lawyers in their Hong Kong offices since 2011. 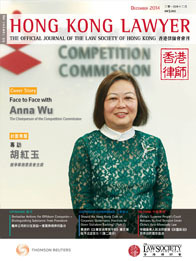 The increase took the average percentage of Mandarin speakers employed by the 16 responding law firms to 60 percent of their total Hong Kong lawyer count – showing the importance of dealing with Mainland clients (see Hong Kong Lawyers in Demand as Global Firms Fight for Chinese Speakers, Legal Week, 22 Feb 2013). Given extremely conservative assumptions about the need for legal services in the Mainland (and Hong Kong law firms’ absorptive capacity to add headcount), we estimate that Hong Kong firms could add another 6,000 lawyers (see Figure 2). Such extra staffing could increase revenues to US$5 billion.2 Such an increase in revenues would easily bring potential market capitalisation up to US$24 billion.3 That means shareholders could well treble their money in this sector if all of Hong Kong’s law firms listed tomorrow. We know that capital reflects the main constraint to a growing Hong Kong legal profession. Hong Kong’s roughly 9,000 legal professionals pale in comparison to New York City’s 70,000 (see May 2013 State Occupational Employment and Wage Estimates: New York, US Department of Labor, Bureau of Labor Statistics; Legal Services Industry in Hong Kong, HKTDC Research, 13 Jun 2014). The City’s US$266 million in legal services exports in 2012 would not even score the City a ranking among the top 100 law firms by revenue. The City imports roughly 20 percent of its solicitors as “registered foreign lawyers.” Hong Kong also certainly imports capital from them and the 75 foreign registered law firms that operate here (see Legal Services Industry in Hong Kong, HKTDC Research, 13 Jun 2014). Over 820 Hong Kong (rather than foreign) solicitors’ firms operate in Hong Kong (see id.). Yet, only 7 out of 25 of the largest law firms represent “local” firms. Clearly, foreign firms have access to deep pockets or credit lines that enable them to grow much larger than Hong Kong’s own firms. Internal funds won’t provide anywhere near enough capital to right-size Hong Kong’s legal sector. And borrowing from Hong Kong’s banks simply represents a risky and costly bet that profits will one day catch up with interest payments. As such, Hong Kong’s law firms have a special need to raise equity-based capital that their London and New York-based rivals do not have. 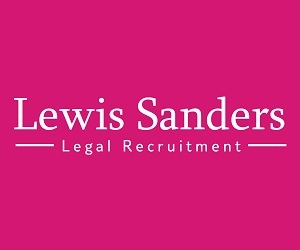 Why Allow Law Firms to List in Hong Kong? 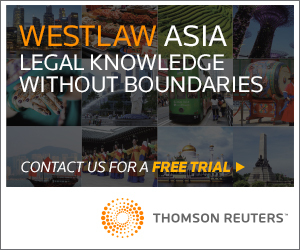 How would a Hong Kong listing help local firms compete against foreign firms in Big Law? It would provide local firms with access to additional resources that could be used for marketing activities, potentially putting local firms on equal footing with many top tier firms with large marketing budgets. It is common for Big Law firms to attend and co-sponsor investment, banking and other large conferences, which gives these larger firms additional exposure. If the largest law firm spent even 5percent of its revenues on marketing, it would muster over US$120 million a year in conference booth fees and other marketing (see Am Law 200: Firms Ranked by Gross Revenue, The American Lawyer, 29 Mar 2014). Listing would also help partners and associates diversify their risk. At present, attorneys must fund their practice with their personal funds. When the well-known Stutman Treister & Glatt closed its doors, its attorneys and their creditors lost out. Why not share the risk with professional investors specialised in assessing, taking and bearing these risks? Lawyers in Hong Kong have started to engage in private equity work. Why can’t private equity practitioners do likewise? Listing would also let non-lawyers share in law firms’ profits and potentially defuse non-lawyers’ resentment of high legal service fees. Attorneys working in/on China-related legal issues may earn an eye-popping HK$1,140,000 per year (the highest in the world) (see Christopher Danzig, Infographic of the Day: Which Country Has the Highest Paid Lawyers?, Above The Law, 20 Sep 2012). In the US, average profits came in at almost US$1.5 million per partner (see Am Law 100 Analysis: The Super Rich Get Richer, The American Lawyer, 28 Apr 2014). Much of this payment reflects a risk premia lawyers receive from having to front their own money and from having competitive restrictions in the legal profession (see OECD Policy Roundtables: Competitive Restrictions in Legal Professions (2007)). If shareholders paid in some money in exchange for part of these rewards, there is potential for society to be better off. Indeed, judging by the growth in these law firms’ profits, from 2002–2012, an investor in a representative law firm would have made a 60 percent rate of return – roughly six times higher than the overall S&P index and with far less risk.4 An investment in Slater and Gordon Ltd has trebled since 2008. Listing would also provide access to the legal profession for the hoards of young lawyers Hong Kong’s universities educate every day. The partnership structure saps roughly US$1,350,000 in resources which young lawyers could use to set up and grow their own practices.5 Steven J. Harper described the dynamics well in his book, The Lawyer Bubble: A Profession in Crisis. Equity and senior partners in Big Law extract rents from young lawyers whose marginal revenue product (how much they contribute to the firm) exceeds their wages. Graduates of Big Law firms earn, on average, US$147,000 per year, but contribute almost US$1.5 million in profits. The difference goes to the partners who capitalise the firm at their own risk. Why not give the capital to a wider range of shareholders instead? We do not describe many reasons why lawyers should not (and have not) traditionally been allowed to float their partnerships, vereins and sole proprietorships on public markets. Readers of the Hong Kong Lawyer will be extremely well-versed in the philosophy and law of these restrictions. Yet, any regime allowing Hong Kong’s law firms to list on the stock market should take these concerns into account. How can Hong Kong’s law firms sell shares to institutional and retail investors while ensuring adherence to the principles that guide the legal profession? Hong Kong law firms should not have the right to list outside of Hong Kong. Such a restriction would ensure Law Society oversight and better align these firms’ interests with their investors. The sub-prime crisis showed what happens when division of ownership and control of companies becomes too far removed. Many areas of the law still remain un-amenable to corporatisation. A criminal defendant in a murder trial does not want his lawyer to “maximise shareholder value” when his life and liberty hang in the balance. Law firms can set up special purpose vehicles engaging in certain activities as listed corporations. These sequestered vehicles would have their own lawyers, support staff and oversight. Conflict of interest rules could govern relations between the law firm and the listed entity the law firm sponsors. Accounting and consulting firms already do this. Why not extend these practices to law? The regime authorising law firms to list (either as firms or listing separate portfolios of their activities) should operate – at the beginning – on a trial or pilot basis. Any law-related activities authorised to raise capital by issuing shares (either in private placement or on the Hong Kong Stock Exchange) would clearly be warned that authorisation could be withdrawn at any time. The authorisation regime itself would describe ways of returning investors’ money if a listing authorisation is revoked. The Securities and Futures Commission (the “SFC”) would have to oversee law firms’ shares – just like any industry’s shares. However, the Law Society oversees policy aspects related to the legal profession. A joint SFC and Law Society Working Group could work out any special issues and enforcement issues related to overseas offerings (which are not allowed) or capitalisation (excessive leverage may not serve the interest of society as well as the interests of law firms). The Working Group could also define the kinds of legal activities amenable for securitisation (and trading) – and verboten areas. Allowing Hong Kong’s law firms to issue shares and list on the local stock market would help alleviate capital constraints which may be hurting the local legal sector. Listing would allow these local firms to compete with their well-heeled foreign rivals. Listing would also help local firms raise the funds needed to supply the Mainland with much-needed legal services. Allowing publicly-traded law firm securities would also allow partners of law firms to diversify their risk, as well as enable the public to participate in the gains enjoyed by a narrow segment of Hong Kong society. Listing would also generate a large amount of information which policymakers, academics, consultants and gurus of all stripes could use to make Hong Kong’s law profession work better. However, whether law firms actually want to be listed is an entirely different issue altogether. 1 This estimate was arrived at by multiplying the attorney numbers of the top 25 firms by the revenue and profit of these firms. We obtained all these data from the sources listed in Figure 1. With both revenue and profits per firm, we multiplied by Hong Kong’s average price-to-earning multiple of 10. 2 Figure 2 shows the attorney numbers under the “vibrant Mainland service offering” scenario at roughly 6,000. With revenues of roughly US$800,000 contributed by each attorney (what we describe as a conservative estimate), the total revenue generated is about US$5 billion. We do not give exact calculations or decimal places on any of our estimates because of the uncertainty inherent in the estimation process. 3 See note 2. If revenues come to US$5 billion and if profit rates per attorney equal roughly 50 percent of these revenues, then profits equal US$2.5 billion. Using Hong Kong’s average price-to-earning multiple of 10, market capitalisation could easily come to US$24 billion. 4 These numbers were arrived at by using the data contained in Am Law 100 Analysis: The Super Rich Get Richer, The American Lawyer, 28 Apr 2014 and Am Law 200: Firms Ranked by Gross Revenue, The American Lawyer, 29 Mar 2014 (hereinafter “Am Law Data”). 5 Using the Am Law Data, this amount represents the difference between the money lawyers generated for their firm and the amount of money they were paid out. * Disclaimer: The material in this article represents a summary of recent scholarship, written in an accessible way. They do not represent the views of the organisations to which these authors are affiliated.